The Forgotten builders have unique needs, and building products manufacturers who use content to help in home builder marketing have an opportunity to address those needs. Like most in the construction industry, builders are time-strapped and lack the bandwidth and resources to create the educational materials they need to target homebuyers. 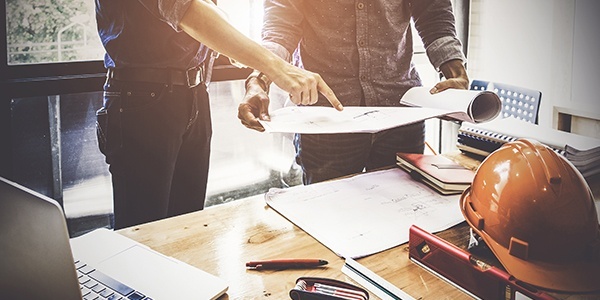 By aligning content with home builders’ value propositions and the informational needs of their buyers, building products brands can build rapport, establish loyalty and gain a competitive edge with the segment. Help niche home builders generate trust with their target audience by creating collateral for prospective homebuyers. Called “shared” or “brand-sponsored” content, it’s designed to be distributed by builders to homebuyers along their new construction journey, and helps them market their business more effectively because it provides perspective and saves them time. Brand-sponsored collateral can take any form, including digital (blogs, articles, infographics, white papers) or print (sell sheets, brochures, checklists), as long as it addresses the homebuyer’s specific information needs before, during, and after the build. Your brand’s content, designed with room for the builder’s logo and messaging, adds credibility and purpose for the home builder, and shows homebuyers that brands also have their backs by putting the power of the brand name behind the builder’s message. Homebuyers who look to niche builders are likely new to the home building process and seek education, concerned about the circumstances they’ll face and the decisions they must make. Help the builder help the buyer by creating a branded guide for distribution to prospective homebuyers. Guides can be any length and can be created in a variety of formats for easy distribution, both downloadable from the home builder’s website or printed in bulk with space provided for specific home builder identification. Cover topics like how to choose the right niche builder, or how certain products will help avoid problems others have faced during the building process. Brands who anticipate this need and address these questions in a guide will be able to address homebuyer concerns, while at the same time helping builders set themselves apart from the competition. Typically, after a homebuyer settles on a niche home builder to handle their project, new concerns and questions appear. This presents an opportunity to create a resource that illustrates and details the building process, what decisions homebuyers might encounter, and how to allay issues and fears others have faced in realizing their dream home. A digital asset like an e-book, developed by the brand to illustrate who does what and when during the building process, offers plenty of flexibility to include visuals, in-depth info and also segment pages by topic. E-books can be any length and should have the ability to be customized by the home builder at any time, ideally residing on the builder’s website where it can be downloaded by potential homebuyers. Consider developing a quick and easy branded reference guide for homebuyers in the form of a checklist. Time-strapped builders will appreciate the readiness of the resource and its ease of distribution. The checklist can be in a digital format and posted on the home builder’s website, or printed in bulk, leaving space for the home builder’s identification and logo. A great example of a checklist topic is one that details maintenance tasks that must be performed by post-build homebuyers and new occupants. Within the checklist, include information that can help homeowners keep track of their warranties, list the expected costs of home maintenance, add applicable product mentions and other maintenance tasks. Remember, it’s not about selling certain products, but about building trust in the builder and the brand. Looking for more information on what to include in each of the four recommended types of content for home builder marketing? Download our in-depth guide, Marketing To The Forgotten Builders.